Parents considering music therapy for a child with autism should research music and autistic children. 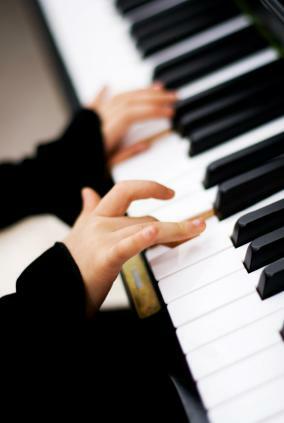 Many children with autism respond well to music, and some have a special talent for it. Music can be used as a way to improve communication skills and deal with sensory issues. Learn how music can help children with autism interact with the world and improve autism symptoms. Music therapy for autism has a strong track record for helping children with autism who enjoy music make progress in communication and social skills. Music therapy uses music to encourage positive human behavior and stimulate the senses in a controlled setting under the supervision of a licensed music therapist. In therapy sessions, children listen to music, play musical instruments, sing and dance. Listening to music is often a part of educational activities to learn new words and how to put sentences together. Playing music stimulates senses. Dancing and singing can be a part of self-expression and teaching improved communication skills. Why is music so effective for autism? Music therapy provides a non-threatening environment for self-expression, which encourages many children with autism to explore new methods of communicating and develop language skills. A 2007 Journal of Music Therapy study found that music can effectively help children with autism improve peer interaction. The study participants were four preschool age autistic children who showed no interest in their peers. The researchers put together an outdoor music hut with teachers and created a unique song for each child. The teacher developed a structured routine utilizing music therapy technique and initiated play between an autistic child and a nonautistic child. During play sessions, the nonautistic child and the teacher would sing the autistic child's unique song to encourage interaction between the children. Gradually, the teacher would decrease her involvement with the children's play session. Eventually the autistic child began to initiate play without assistance from the teacher. Deals with sensory issues in a positive manner: The music stimulates the senses to help encourage appropriate responses to stimuli and can lessen stimming (self-stimulating behaviors). Improves language comprehension: The therapist can help children to associate language and communication ideas by playing songs that explain the meanings of words and common activities. These songs can help children understand word definitions in proper context. Promotes speech and two-way conversation: The therapy can help children who have limited speech develop speech skills and learn proper pronunciation. Voice tone can be improved to reduce monotone or high pitched speech. Encourages self-expression and appropriate emotional responses: Children learn to express their emotions through music. They can dance, play music, sing or make noise in a non-threatening environment. This self-expression also helps them better understand their emotional reactions. Since a significant number of children with autism who are interested in music have some degree of natural music talent, does this mean that there is a link between autism natural music talent? Every child is different and each case of autism unique so it is unlikely that the condition makes a person naturally good at music. However, a University of London study addressed this issue and many children with autism may have a natural music talent and why. A 2004 University of London study found that many autistic children have exceptional abilities in tone recognition and musical memory. The study compared the music skills of autistic and nonautistic children between the ages of 8 and 19 with the same music experience as well as a control group that fit the same criteria. The autistic children out performed the nonautistic children. Since autism symptoms vary and the cause of autism is still unknown, more research is necessary to determine the answer of possible links between music ability and autism. Yet, it goes without say that music can provide significant benefits to children with autism.